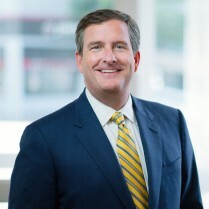 Lightfoot is relentless in helping businesses get the recoveries to which they are entitled. In today’s business environment, companies often must resort to litigation to resolve disputes, enforce contracts or recover damages inflicted on their businesses. Experienced and trusted partners can help businesses navigate this complex process in an efficient and cost-effective manner. Over the years, we have defended hundreds of business clients in thousands of matters. The knowledge and perspective gained in defending businesses are invaluable when we are called to go on the offensive. Lightfoot attorneys understand both playbooks, giving us the ability to identify potential claims, analyze damages and advise on appropriate steps to remedy those damages. Lightfoot attorneys have extensive experience pursuing business recoveries. These wide-ranging matters include claims for breach of contract, breach of warranty, fraud and intentional interference with business relations. 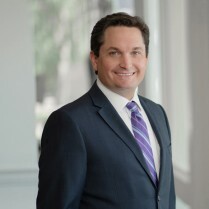 In court and through arbitration, Lightfoot has represented business interests in numerous actions, including significant construction cases, disputes over ownership of energy production systems, executive compensation matters, shareholder litigation and insurance coverage disputes. In most matters, we are willing to explore alternative billing arrangements, with the firm sharing the risks, benefits and expenses related to the litigation. Representing a chemical company in a dispute over a supply contract with another chemical company. The case was tried to a jury and resulted in a $70 million judgment in our client’s favor. Representing a manufacturer in a dispute with a software provider over the sale and installation of an enterprise resource planning (ERP) software system. This case was tried to a jury and resulted in a $61.4 million judgment in our client’s favor. Securing a confidential settlement for the owner of a prominent commercial building based on the condition of the building when vacated by a tenant. Securing a confidential settlement for a healthcare company in connection with the dissolution of a joint venture with a competing company. Representing an investment fund and successfully stopping the general partner’s efforts to dilute our client’s ownership position in a co-generation power project. Representing a contractor that worked on an overseas steel mill and processing plant, recovering contract balances plus delay damages while defeating the owner’s claim that the contractor was responsible for the delay. Representing the purchaser of a majority interest in a business in an action against the seller for breach of representations and warranties in the stock purchase agreement. The case was settled for $13 million. Representing a specialty trade contractor in the renovation of a historic hotel in Richmond, Virginia, recovering contract balance and change orders, defeating the owner’s counterclaims for delay and recovering 100 percent of our client’s attorney’s fees. Representing a closely held company in an action against a minority shareholder and securing an injunction enjoining the shareholder from operating a competing business, which precipitated a confidential settlement. Reaching a confidential settlement for a "big box" retailer in connection with the termination of a long-term commercial lease. Securing a confidential settlement for a food and beverage distributor in connection with the termination of its distributorship. 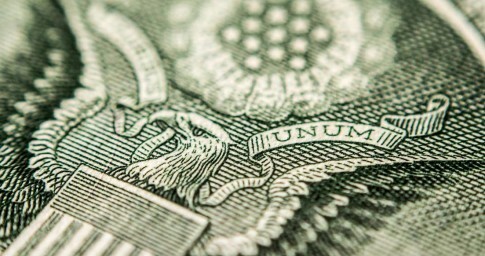 Securing a confidential settlement on behalf of a private equity fund involving the reformation of a loan guarantee pledged in connection with the financing for one of the fund’s assets. Representing a contractor on a post-Katrina hurricane protection project, successfully recovering 100 percent of our client’s claim, plus attorney’s fees, while defeating the opposing counterclaims.